Congratulations to Alexie Mieskoski, who passed her Senior Free at the April 20th test session! 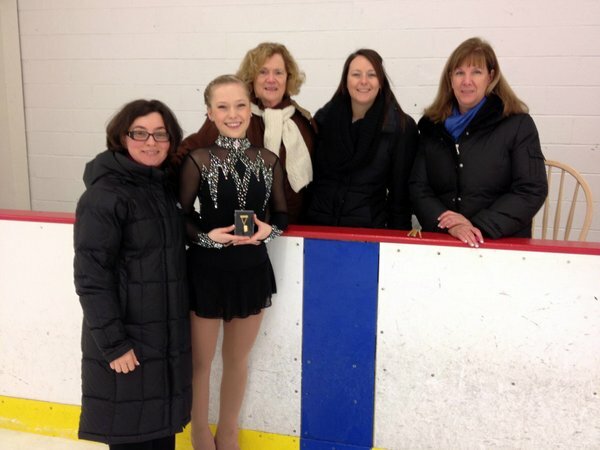 Alexie is pictured with her coach, Svetlana Khodorkovsky, and judges Barbie Holland, Whitney Luke, and Gretchen Bonnie. This entry was posted in 2013-2014 Season, Member News, Tests and tagged 2013-2014 Season, Member News, Tests on April 23, 2013 by Columbus Figure Skating Club.